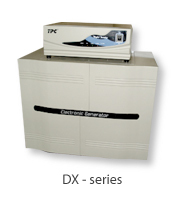 This series is a low power online Double conversion UPS. 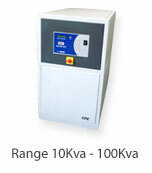 With power factor correction upto unity. UPS is having built in static bypass and software compatibility and SNMP compatibility also. Superior Surge Protection Circuit Is Built In at the Input End. Transformer less high frequency design facilitates you to install required power with minimum foot print, because of PFC charger it works with better efficiency and requires less peak power compare to conventional Online UPS and minimizes your electricity bill. 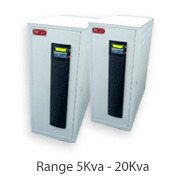 This is a medium power Online double conversion UPS with power factor correction And available in Single phase input - single phase output and three phase input - single phase output. This series coming with built-in transformer for Galvanic isolation between input and output and suitable for applications requires isolation from input to output and places where lot of power disturbances and lightening effects. Input mains supply, so you can fell there is no transfer time even using a oscilloscope, so this series of Line interactive UPS is called virtual online UPS. 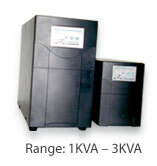 This series of LI UPS is mainly used for saving the data and shutting down the PC. It can offers a back up of 10 Minutes to 30 minutes, having SMF battery inside the UPS . It is easy to use and most economical and maintenance free, you may have to replace the battery when you feel back up is inadequate. Better choice for single PC used in home applications and small offices having generator back up. This UPS is normally called as Domestic Inverter, it doesn't have built in AVR but it will protect connected load from mains high voltage. For specific application this UPS can be made as combined load by enabling high and low cutoff on mains with low transfer time to take care of a computer load. For critical computer applications other than domestic we will recommend Line Interactive UPS or Online UPS only.